The Wahl Sterling 2 is one of Wahl's most popular Cordless trimmers. With high precision, chrome blades that are rust-resistant, they rarely need to be replaced. However, when they occasionally do, we are guaranteed to have the right Wahl blades, at the best prices to breathe new life into your Wahl Trimmer. 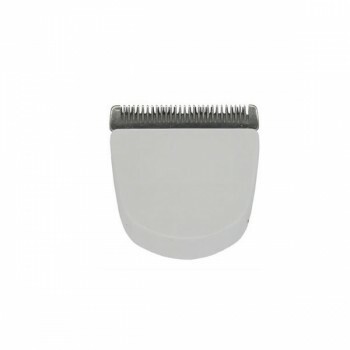 The Standard Wahl Sterling 2 Blade is suitable for all precision detailing and styling has a cutting length of 0.4mm. As with all Wahl Professional Blades, it is made out of the highest quality, rust resistant steel and is suitable for the Wahl Sterling 2 only. Create the latest looks with our wide range of hair clippers. As official stockists of Wahl clippers as well as Andis and Oster, we supply a wide range of professional clippers at the lowest prices.